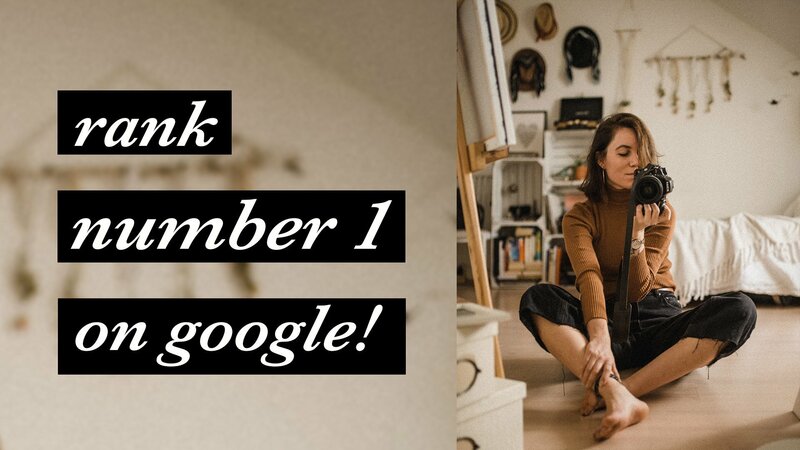 Learn how to get your photography site to show up in google search and book more photoshoots by getting your website found and on google and learning how to rank number 1 with these 7 SEO Keys. Your website is the backbone of your photography business, and your marketing as a photographer. Whether you’re a wedding photographer looking to book more brides, a family photographer trying to find more clients and book more photoshoots or any other kind of photographer looking to get more traffic to your website – Todays video is for you! Website seo for photographers doesn’t have to be complicated. We’re going to break down the 7 key seo strategies to getting found in google, and give you some simple, basic tips that you can use to start improving your rankings right away. The truth is SEO for ranking your photography website on google isn’t that complicated – But its not easy either! You can waste months or even years trying to rank your site and get found in google search, only to find the seo strategies you were using didn’t work. Don’t start trying random seo tricks and crossing your fingers hoping for fast ranking. Find someone who has actually DONE IT, and get the road map from them. That’s the fastest way to rank a website – By learning what works. We hope these 7 key seo strategies were helpful for you! Buy the full course with the links below, and leave a comment if this was helpful or if you have any questions!